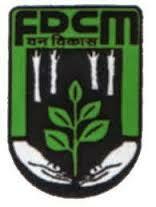 Forest Development Corporation of Maharashtra Limited (FDCM), Nagpur Published Advertisement for the post of “Department Manager, Departmental Forest Officer, Assistant Manager, Asst. Forest area Officer, Assistant Pay & Accounts Officer” For Retired Candidate. There are total 6 vacancies available. The eligible Retired candidates send Offline Application Form before the last date i.e.1st April 2017 at given address. Complete details are as below in PDF file.